What a great weekend full of events to kick off the Christmas Season in Fort McMurray. The NLRHF’s Festival of Trees is a huge event that people wait for every year, and this year was no different. All the events were sold out and a huge success – the final total raised for the Fort McMurray Hospital was $640,000. One of the greatest examples of what an amazing community we live it is the Fort Mac Hockey Bros. Parker and Cruz Flett came up with the idea to raise money for kids in the outlying areas of Wood Buffalo so that they could have access to the game of hockey, a game that the boys are passionate about. They’ve spent the past few months collecting hockey equipment and money to donate. Dave made a donation to the boys for their cause. 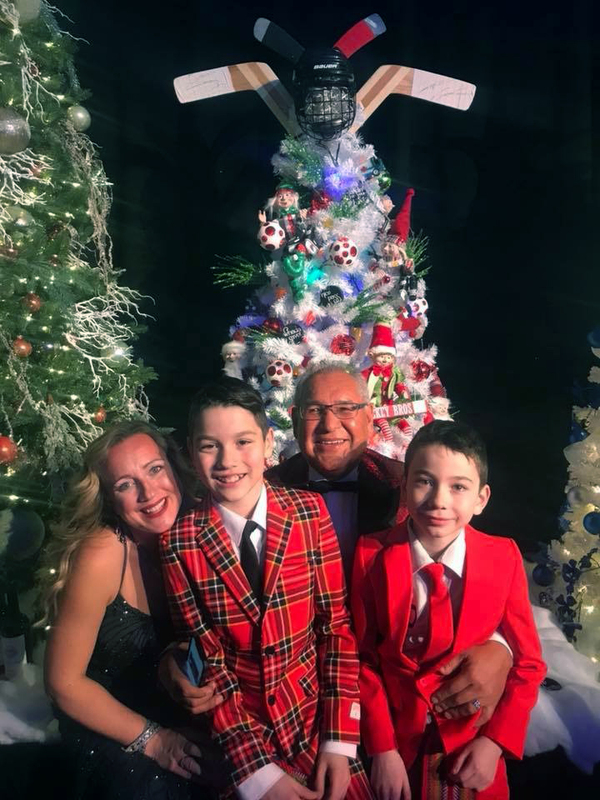 When it was all said and done, the boys raised $46,000 for hockey equipment, and their tree raised $100,000 (an all-time record) for the hospital at the gala on Saturday night thanks to 2 combined incredible bids. Tuccaro was more than happy to purchase 2 trees beautifully designed by Allison Flett representing indigenous people and issues. Tuccaro has allowed me to raise my family and build a life in Fort McMurray. We are family, supportive in all aspects. We are a team, and we are a community.